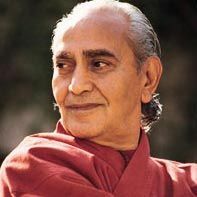 Swami Rama describes five ways to prepare for kundalini awakening and explains why it’s so important to study with a qualified teacher. The system of yoga has developed many techniques to help students awaken the dormant force of kundalini. An authentic teacher chooses the most appropriate method to help a student to awaken the force within. This method must be carefully selected according to the individual student’s abilities, tendencies, and level of attainment. However, not all those who claim to be teachers have the level of realization required to be able to guide students systematically, so students should be careful in selecting a teacher. The sacred and advanced practices of kundalini yoga have been popularly distorted and misrepresented, particularly by teachers who claim to be able to raise this energy by their presence or touch. Then, rather than raising the student’s level of consciousness, what is raised is the students level of emotional or imaginative experience, such as those created by suggestion or hypnosis. This is not at all the path of spiritual enfoldment. In order to attain spiritual enfoldment and the awakening of kundalini, the sincere student must first prepare himself or herself on all levels. This cannot be done by another, but only by the genuine and motivated student. First, the physical body needs to be purified and strengthened, especially through practices such as hatha yoga, breathing exercises, and maintaining a correct diet. Even on the mere physical level, a sudden increase and release of kundalini energy can cause disturbances or imbalance. Only when the physical system is strong, balanced, and prepared, can it safely assimilate the energy of kundalini. This is like a situation in which a high voltage electrical current is channeled through a weak and inadequate wiring system. Only when the physical system is strong, balanced, and prepared, can it safely assimilate the energy of kundalini. On the mental and emotional level, too, the sincere student must prepare himself or herself, learning the basic practices of yoga required to balance the emotions, coordinate the mind, and channel the higher energy involved. Such preparation is crucial because a sudden increase of this latent power can disorient and disrupt the functioning of a person who has not yet become calm, balanced, and able to integrate the higher energy level. Because of this, authentic teachers never teach advanced practices for the awakening of kundalini to unprepared students, but use the methods of yoga to help train students to prepare themselves. It is this period of preparation for the awakening of kundalini which is the most important in the entire training process. Hatha yoga, which strengthens the body, and helps to prepare it for the increase in energy. Traditionally, hatha yoga is used in combination with purificatory processes, such as washes, which cleanse and refine the body and nervous system. Pranayama (breathing practices) that allow the student to learn how to channel the pranic energy and eventually raise kundalini. Pranayama exercises also affect the balance of the nervous system and help to create a calm, quiet mind. By creating a state of mental clarity, the student is able to direct his or her mind. Generally, the mind is preoccupied with the stimulation it receives from the external world via the senses, but once this energy is focused within, the student is able to alter the minds scattered tendencies. The breathing exercises help the student to raise and channel energy through the central pathway, sushumna. In this manner, kundalini is drawn upwards. Concentration and meditation practices that promote concentration and meditation on certain chakras. These practices also help to shift consciousness from the body and its physical functions, to an inner state. Meditation on a chakra may help to raise kundalini to that chakra. Practices of higher tantra that involve physical and mental celibacy. This energy is elevated to a higher level by meditating on the union of shiva and shakti within. Kundalini can also be awakened by those who raise their energy through intellectual study of the philosophical scriptures, or by those who are intensely devotional. In all of these advanced practices, the guidance and supervision of an authentic and experienced teacher are necessary. Up to a certain point, the student of yoga can prepare himself or herself, but beyond that point, guidance is required. A teacher who guides as part of a lineage or tradition can help a student to systematically advance. This may take place in a series of important steps, the first of which is the student’s initiation, in which he or she receives a mantra a word, phrase or sound on which to concentrate. Usually, the student is practicing several steps concurently—for example, the student may be performing asanas and breathing practices, as well as meditating with the use of a mantra. As the student evolves and learns to become skilled at managing and being aware of increasingly fine energies, he or she may also be given other advanced practices. Eventually, these practices may lead to a step in which the teacher provides a higher initiation, helping the student to awaken kundalini and guide her upward by sharing some of the teachers own energy. However, even for this to take place, the student must already have refined and purified his or her body, mind, and personality so that the student can respond to the teachers assistance. This higher initiation is called shaktipat, and when it occurs, the students consciousness is elevated to a higher level that is joyful, transcendent, and serene. This state may last for various periods of time, but the energy of kundalini usually returns to its latent state after some time, since most students cannot maintain this higher level of consciousness independently and consistently. Such an experience may transform and change his or her life, leading to an increased creativity, energy, and vitality, and inspiring the student to work systematically to raise and channel that energy. In guiding such students, the teacher does not act on his or her own behalf, but represents a tradition of teachers and masters, who guide the progress of the prepared students. There are certain valid signs and symptoms of the awakening of kundalini. These include specific sensations, movements, and sounds. A realized teacher will have no difficulty in distinguishing between the authentic signs of kundalini and the symptoms of emotional, physical, or psychological imbalance in an unprepared student. When the student experiences the union of shiva and shakti at the sahasrara chakra, he or she experiences the highest state of consciousness. It is important for the student to be aware that this experience generally is attained only after prolonged study, self-purification, and preparation. This includes basic practices, such as learning how to maintain a healthy body and to control mind, action, and speech. The student may observe silence and other physical and mental disciplines. When the student makes prolonged, sincere efforts, he or she raises the ascending force, and then the descending force called grace will also dawn. It is most important that a student be steady and systematic in practicing, and not undertake rash, intense practices or indulge in emotional outbursts. Gradually and steadily the student will expand his or her capacity and such constant sincere effort brings the most rapid, consistent progress. Sloth and laziness are great obstacles on the path, for unless the student sincerely prepares, no teacher can help him or her with the final steps.